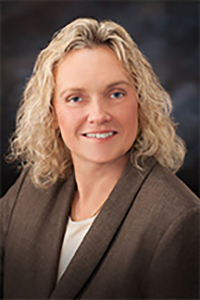 Darla C. Carlisle - Weycer, Kaplan, Pulaski & Zuber, P.C. Attorney - Weycer, Kaplan, Pulaski & Zuber, P.C. Member of Board of Directors of Greenbriar Community Association, Inc.
Ms. Carlisle assists clients in the acquisition and sale of real estate (both unimproved and improved), the development and re-development of real property (including platting, replatting or amending a plat of various types of properties), the financing of the purchase (and refinancing) of real estate projects ranging in size from one hundred thousand dollars to tens of millions of dollars. She represents both landlords and tenants with real estate leases, license agreements, service agreements and equipment leases. She negotiates and prepares leases, licenses, service agreements, contracts (regarding purchases and sales of commercial and residential properties), construction contracts and loan documents. Ms. Carlisle has finalized over two hundred million dollars in acquisitions and sales. Additionally, Ms. Carlisle works on title and survey reviews, easements, foreclosures, deed restrictions, development, construction contracts, and the creation and formation of condominium developments and/or homeowner’s associations. She routinely assists clients on business formations including partnerships, corporations, and limited liability companies. Ms. Carlisle represents a wide variety of clients including landlords, tenants, real estate investors, homeowner’s associations, retailers, restaurants, banks, brokers, manufacturers, dentists, real estate developers, and real estate management companies. Prior to obtaining her law degree, Ms. Carlisle worked for the Texas Department of Human Services (1988-1992) and the Texas Department of Protective and Regulatory Services (1995-2001) and has significant experience in issues related to residential and child care licensing and investigations of complaints related to children. Ms. Carlisle received her Mediation Certification from the Dispute Resolution Center. Represented purchaser on the acquisition and financing of multiple Shell gas stations. Transaction valued at $7,870,000.00. Represented purchaser on the acquisition and financing of multiple Exxon gas stations. Transaction valued at $60,000,000.00. Represented clients in the selling and/or purchasing of shopping centers, office buildings, stand alone retail buildings, residential properties, undeveloped land and gas stations, including those containing fast food establishments, ranging in value from $35,000.00 to $60,000,000.00.